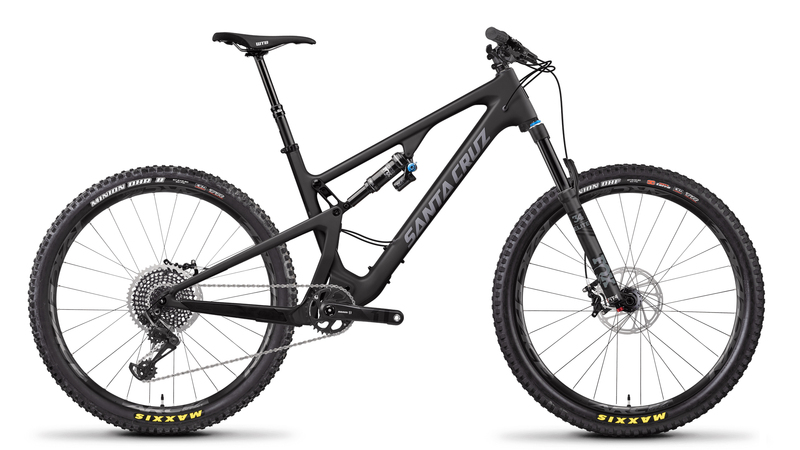 Santa Cruz has been making some of the highest quality and most sought-after mountain bikes for many years, so it's no surprise that they continue to produce some of the best mountain bikes in the world. The 2019 Santa Cruz 5010 3 Carbon X01 Trail Bike is here to provide mountain bikers the most fun they'll have on two wheels. It comes with 130mm of travel on the front and rear that is driven by VPP suspension. The VPP gives the bike a sharp and responsive feel. The frame is plus-size tire compatible so riders can run up to a 2.8" wide tire. The X01 version of the 5010 uses a Santa Cruz Carbon CC frame which is incredibly lightweight, durable, and responsive. The X01 build of the 2019 Santa Cruz 5010 3 Carbon Trail Bike comes with a SRAM X01 Eagle drivetrain. This includes the shifter, rear derailleur, and chain. It features an 11-50 tooth cassette and a 32 tooth chainring on the crankset. The SRAM Guide RSC hydraulic disc brakes provide ample stopping power for aggressive riding and the Fox 34 Float Performance Elite 34 suspension fork and Fox DPX2 Float Performance Elite rear shock provide small bump compliance and can take the big hits. The Race Face ARC rims are paired with Maxxis Minion tires for a tubeless ready set up. This allows riders to drop the tire pressure so they can have a smoother ride and better traction. If you're looking for a trail bike that can handle anything you put in front of it, then you'll love the 2019 Santa Cruz 5010 3 Carbon X01 Bike.